The MINI brand isn’t even 100 years old, but parent BMW is already planning its second century. 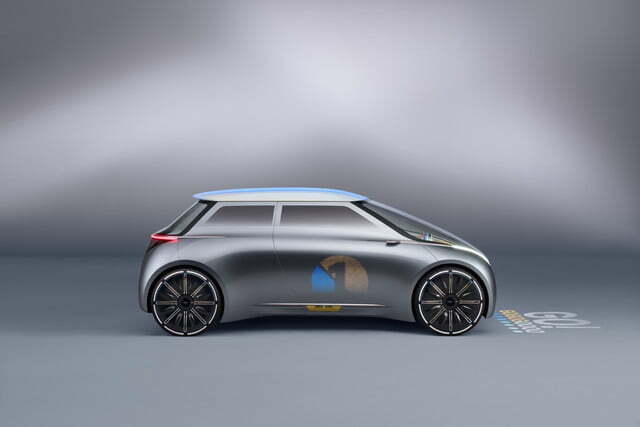 The MINI Vision Next 100 is part of a series of concepts that also includes the BMW Vision Next 100 and Rolls-Royce Vision Next 100, debuting during BMW’s centennial year. 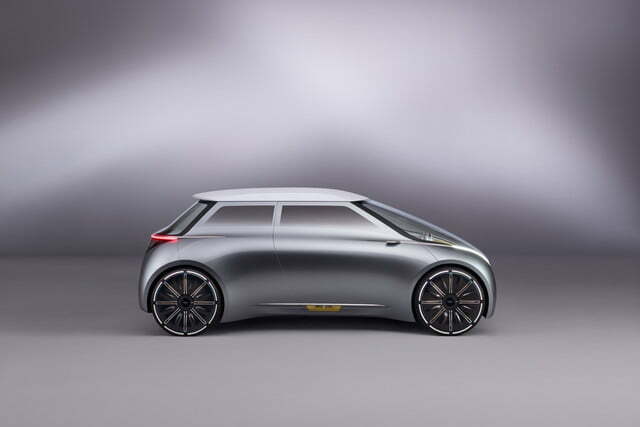 Like the BMW and Rolls concepts, the MINI Vision Next 100 is built around the assumption that autonomous cars will become commonplace in the next few decades. It seeks to adapt MINI’s signature emphasis on personalization to a future where self-driving cars and car-sharing or ride-sharing services combine to make actually owning a car unnecessary. 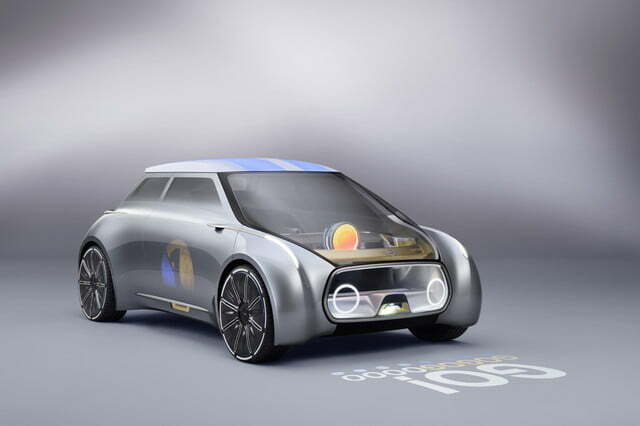 The MINI Vision Next 100 allows its temporary occupants to digitally customize the vehicle. The exterior skin can change colors on command, and the infotainment system adapts its displays to individual preferences. 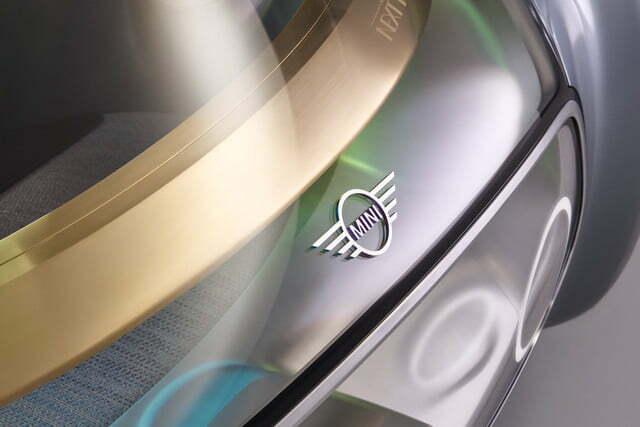 Like current MINIs, the Vision Next 100 has a giant central dial on its dashboard. 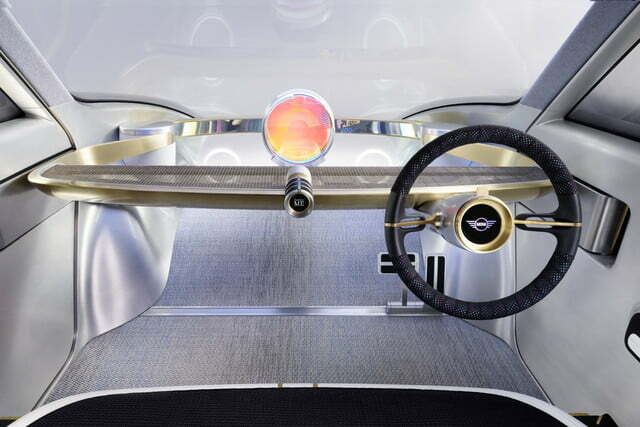 Now christened the “Cooperizer,” it allows occupants to change driving modes and reconfigure the interior, including choosing setups shared by other users. 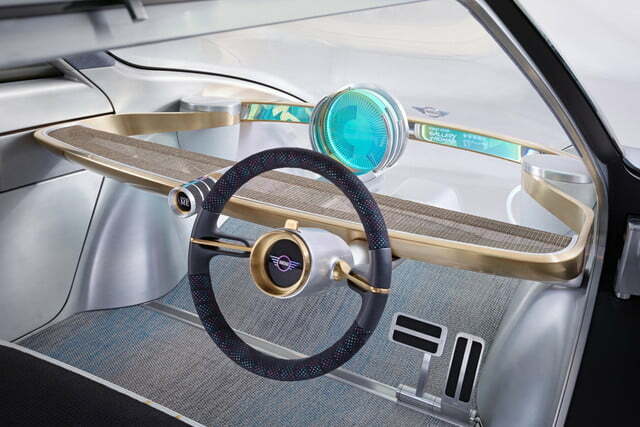 This futuristic MINI allows people to choose between being passengers and driving themselves. The idea is that drivers can take control on their favorite twisty roads, and then delegate more tedious tasks like sitting in traffic or parking to the car’s computer brain. MINI reasons that the prevalence of self-driving cars will make some of today’s crash protection unnecessary. 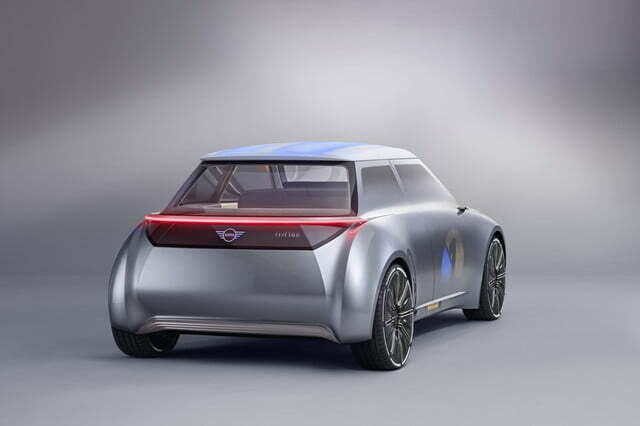 That’s why the Vision Next 100 is appreciably smaller than a current MINI Cooper, which is a nice change of pace. 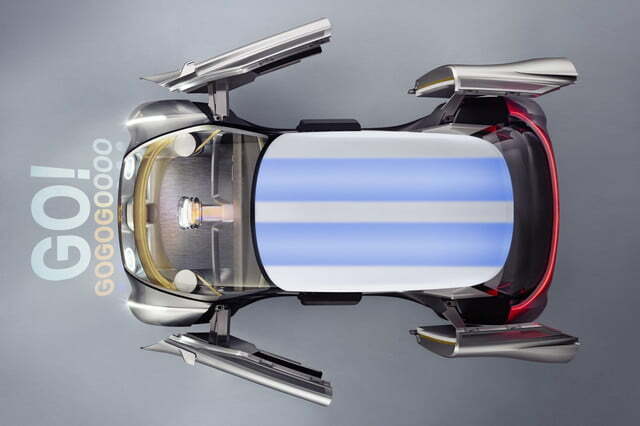 The concept has a zero-emission powertrain of unspecified design. MINI used an unusual array of materials for the interior, including recycled aluminum and plastic, as well as brass, basalt, and cellulose. They were chosen for reasons of sustainability and durability. A future automotive sharing economy means the average car will be used more like a taxi, with the greater wear and tear that entails. MINI says it chose trim materials based on their low environmental impact, as well as their ability to stand up to that abuse. 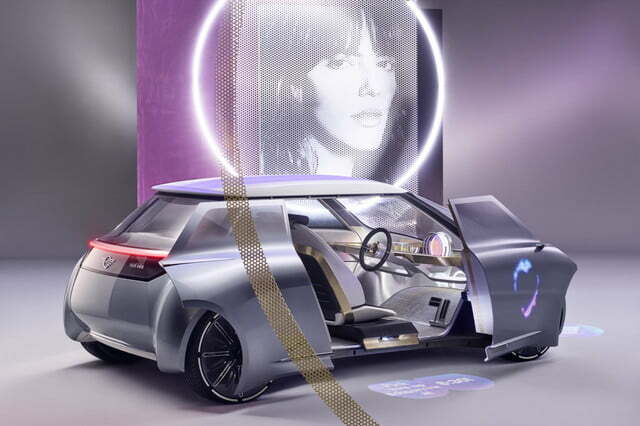 The Vision Next 100 also has the ability to sift through users’ social media accounts and plan events, something MINI calls “experience sharing.” So the MINI of the future could be a self-driving smartphone on wheels, something very far from the simple, economical original Mini that first appeared back in 1959.